All golfers need some level of encouragement or a sign that they are doing things the right way. 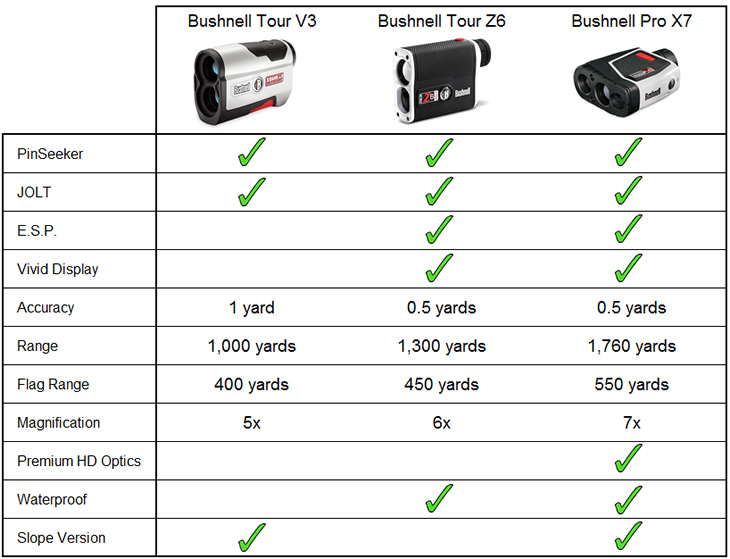 However, that idea has never crossed over into the world of laser rangefinders. Until now. The vibration gives immediate confidence that you've got the distance to the flag. Whilst rangefinders have been a great, accurate tool for golfers for years, many players found difficulty knowing if they were reading a yardage to the pin, or to a tree or mound behind the green. JOLT eliminates that doubt. Once the device locks in on the pin, using the company's PinSeeker technology, it initiates a quick series of short vibrating bursts to alert the player that the yardage they are viewing is correct. 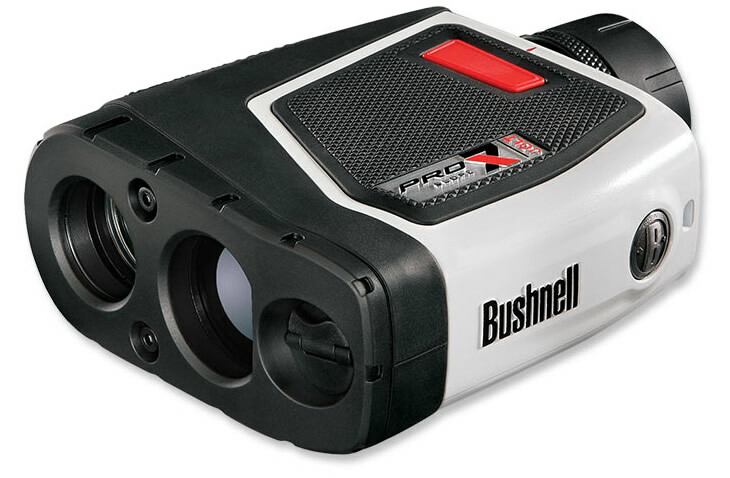 92% of PGA Tour players in 2013 used a Bushnell rangefinder, and in 2014 they will be able to choose from three new models, each featuring the new JOLT technology. With a new ergonomic design, the Tour V3 rangefinder provides accurate yardages from 5 to 1000 yards, and can pick up the distance to a pin from more than 300 yards. Accurate to within one yard, the Tour V3 offers 5x magnification making it easier to see and pick up distances. The Tour V3 JOLT is available in standard model or a Slope version, which provides compensated distances based on elevation changes. It is worth noting that Slope models are not permitted in tournament play. The compact Tour Z6 device features a thin, rubber armoured metal housing and provides distance from 5 to 1,300 yards, accurate to within half a yard, and yardages to a pin from over 450 yards. It offers 6x magnification and has an adjustable dipoter setting allowing you to manually tune the focus of the view. 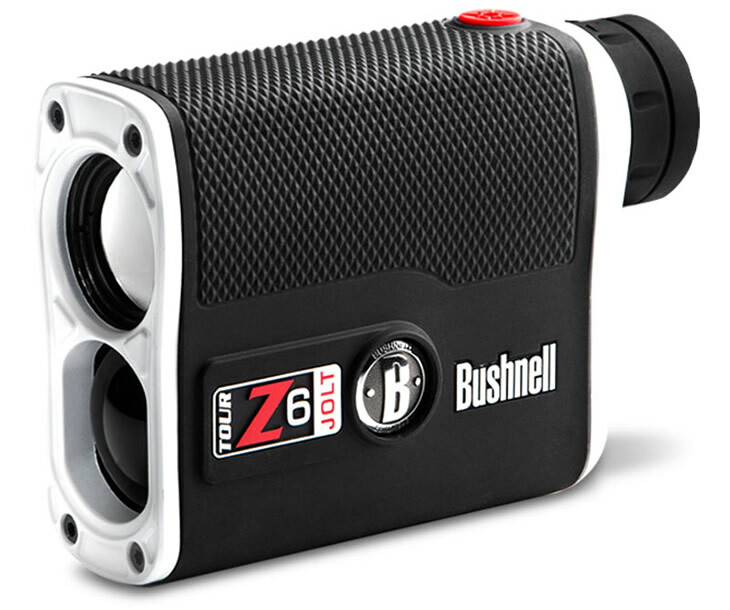 The Tour Z6 features Bushnell's second generation ESP, or Extreme Speed Precision, that allows it to find and display distances more accurately and quicker than ever before. The Pro X7 is the flagship device for 2014. Accurate to half a yard, it can read distances from 5 yards to one mile, and pick up a flag from 550 yards away. As well as the ESP technology, also found in the Pro Z6 model, the Pro X7 will display distances from 5 to 125 yards down to one tenth of a yard. It features a 7x magnification with HD Optics that make seeing and picking up targets clearer and easier.The Vivid Display Technology helps players see and read the information on the screen in all lighting conditions. So even if its dark and raining, yes the device is waterproof, you can easily and quickly get the yardages you need. The Pro X7 also comes in a Slope version.